Let’s be honest with ourselves. We all Fall a Victim of Envy or Hasd or Jealousy in Islam; daily or at some point in our lives. And we also wonder what is Hasd, jealousy or Envy in Islam and we also keep wondering what are the symptoms of Hasd. 1) A Woman is envious of another Woman for her Beauty. 2) A man is full of jealousy for of his coworker for his Success in the office. 3) Parents showing symptoms of Envy for the success of their relatives’ children in academics. 4) A girl having symptoms of jealousy for her classmate for her getting more attention for her ostensible outlook. 5) A mother getting jealous of another woman for the success/beauty or abundance of another woman’s children. 6) A man jealous of another man for the beauty his spouse or by the success of his relationship. They may sound harsh cases but let’s be cognizant of the reality that we feel such baser emotions, despite how much we detest and dislike them. After all, we are all humans and ” To Err is Human & to forgive Divine”. So all of us Err and one or other time in our lives become a victim of what we call jealousy in Islam and then show symptoms of hasad. Can you relate to any of these cases we stated above? How Serious of a Problem is Hasad? Hasad is a very serious problem for both the Sufferer and the Victim. The one suffering from hasad keeps on bulldozing his inner peace and keeps boiling and embroiling in an endless chain of fit and rage. While, on the other hand, the person who is a victim of jealousy ( one who is being Envied ) can become a Victim of EVIL EYE. “There has come to you the disease of the nations before you, jealousy and hatred. This is the ‘shaver’ (destroyer); I do not say that it shaves hair, but that it shaves (destroys) faith. By the One in Whose Hand is my soul, you will not enter Paradise until you believe, and you will not believe until you love one another. Shall I not tell you of that which will strengthen love between you? Spread (the greeting of) salaam amongst yourselves.” (A hasan hadeeth. Jaami’ al-Tirmidhi, 2434). I hope you are well. I came across your work on waswasa and really need your help. I have currently been going through the past couple of months feeling a very disgusting feeling of serious hasad/ evil feelings and ayn towards my fellow brothers and sisters in the religion. These things I feel enmity towards which people have I do not why I feel it it’s taking over my life and I feel sorry for each person I am harming with my ill feeling towards them I can’t stop thinking about them I sleep and wake up with the thoughts. I do wish them ‘Allahuma Barik’ its feels I am giving ayn** a lot of the times I really need your help. First of all, let’s try to understand what is Hasad or jealousy. One fine point to understand is that the Hasid ( One who envies ) might be jealous of a Real as well as an imaginary object / Quality of the person being envied. Since Hasad is a psychic condition hence it does not matter for the Hasid if he is envying a real object or his mind has tricked him into envying a false or imaginary merit or possession of the victim. The person being envied is termed as Mahsud in Arabic. ” Or do they envy [other] people because of what Allah has given them of His bounty? 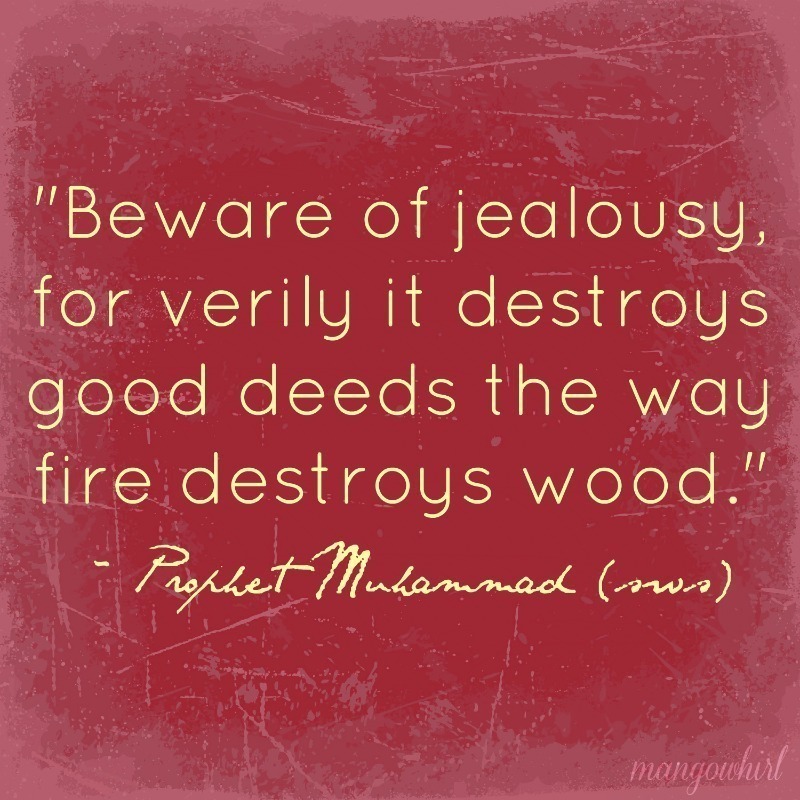 What Causes Envy / Jealousy ( Hasad)? Jealousy can be caused by different sources – We shall shortly discuss each one of them here. Case 1: The source of Envy is Madhub: In some cases, Madhub ( the person being Envied ) becomes the very source of creating the feelings of envy or jealousy. it seems such strange to hear this but yes the victim of jealousy himself is the source of jealousy. let us explain how. A person being envied invites the distasteful emotions of feelings in another person’s heart by showing off ( intentionally / unintentionally ) his /her gifts such as spiritual, and moral merits, or good and pious deeds, or outward factors like Riches, Status, and prestige. Case 2: The source of Envy is Hasud: Hasud is the person who envies. he doesn’t do it on purpose sometimes. Just as we do not get Sick/ill sometimes intentionally, likewise a hasud sometimes doesn’t want to commit the act of Hasad or jealousy but can’t help it. Ill feelings of enmity, inferiority complex, a past or present trauma, a deprivation of a blessing (child, health, riches ) sometimes put a person under the invisible spell of Jealousy. 1 – Degree one of Hasad is when a person wants the gifts to be taken away from his Muslim brother, even if it does not reach him directly or indirectly; rather he does not want Allah (st) to give anyone else and that displeases him. This One is not permissible for a Muslim. 2 – The second degree of Hasad is where the hasud wants the blessing to be taken away from someone else because he desires it and wants that blessing to be given to him. This One is also not permissible for a Muslim. 3 – The third degree is When he wishes for himself a blessing or a gift which someone else has, but does not desire it to be taken away from that person. This is a permissible form of Envy it is called Ghibtah. Certain emotions lead us into the habit of Envy. Hence we need to keep a check if we are struggling with one or more of these emotions. Enmity: Enmity caused by deep-seated feelings of anger, revenge or some unsettled emotional turmoil can verily lead to jealousy. Viciousness Of Nature A Person sometimes gives into his Naf-e-Ammarah ( lower Self ) or submits to the commands of the Devil which in turn makes him a carrier of Hasd. Fear: The envious man ( Hasud) holds a grudge in his heart for the person being Envied ( Mashud) and is afraid that he shall be inflicted with some pain, punishment. As a result of fear, he envies the status, post, or stature which the Mashhud enjoys and wants him to be strip off his position. Wonder: Sometimes a person gets embroiled in the sickness of Jealousy by an unsettling condition of WONDER. He wonders how the other person is enjoying this Respect or popularity or Acceptance while I am the one who should be in possession of these gifts. This state of Awe & Wonder slips him into the blind valley of envy. How to Check if a Person is a Hasid? (3) He is happy when a misfortune befalls (the envied). The Prophet (peace and blessings of Allaah be upon him) used to say the same du’aa in his prayers. 3) Always Say Masha-Allah when you see a person enjoying a blessing and if some ill thought passes your mind. Try to be happy for them. If you can are not able to do this, then send gifts to them. Shower them with mercy, love, and compassion. This shall slowly take the rancor and ill feelings away from your heart and fill you with love and compassion for the person you are envying. “You will not enter Paradise until you believe, and you will not believe until you love one another. Shall I not tell you of that which will strengthen love between you? Spread (the greeting of) salaam amongst yourselves.” (Narrated by Muslim, 81). “Shake hands, for this will dispel rancor, and exchange gifts and love one another, for this will dispel hatred.” (Narrated by Maalik in al-Muwatta’, 1413). 5) Remember Every one faces and struggles with such feelings . Shaykh al-Islam Ibn Taymiyah said: “Nobody is free from hasad, but the noble person hides it whilst the base person shows it.” (Amraad al-Quloob). If you ever find yourself struggling with such feelings then seek Refuge in Allah (swt) from the ill doings of Shaytan. And try to engage yourself in positive activities rather. Don’t let your mind stay idle for an Idle Mind is a devil’s playground. Remember, A person will not be Judged or punished by Allah for whatever crosses his mind, but he will be brought to justice only for what he says and does. The Prophet Muhammad (saw) said: “Allaah will forgive my ummah for their mistakes, what they forget and what they are forced to do.” (Narrated by al-Bukhari, 2033). There are a few cases in which envy is allowed in Islam. Let’s take a closer look. This news reached Allah’s Messenger (pbuh) who then said, “You people are astonished at Saad’s Ghirah. By Allah, I have more Ghirah than he, and Allah has more Ghirah than I, and because of Allah’s Ghirah, He has made unlawful shameful deeds and sins (adultery) done in open and in secret. It is in the nature of a man to feel concerned and envied when he sees the honor of his family at stake. This form of protective jealousy is allowed in Islam and is actually an inborn quality in men on account of being delegated with the role of protectors of the family by the divine. Asma bint Abu Bakr narrates, “When az-Zubayr married me, he had neither land nor wealth nor slave”, so Asma had to do all the household stuff . “And I used to carry on my head,” she says, “the date-stones from the land of az-Zubair which Allah’s Messenger had endowed him and it was a distance of two miles from Madinah. One day, as I was carrying the date-stones upon my head, I happened to meet Allah’s Messenger, along with a group of his Companions. He (pbuh) called me and told the camel to sit down so that he (pbuh) could make me ride behind him. I felt shy to go with men and I remembered az-Zubair and his Ghirah and he was a man having the most Ghirah. The Messenger of Allah understood my shyness and left. Am I actually a Hasud? Am I such bad that I am hurting people. Am I the cause of Damage for other people’s loss. I am destroying people with my Evil eye. I will hurt my own loved ones with my jealousy. I am such a sinner since I have so much of Envy in my heart for others. 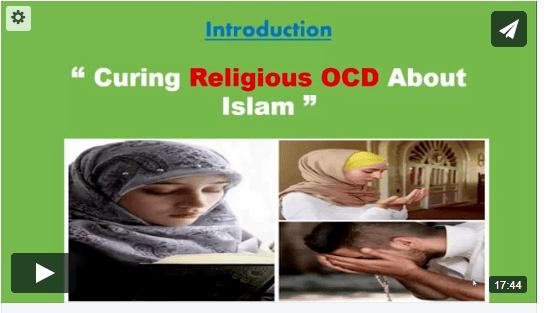 1) A person keeps reciting ” Masha-Allah ” / ” Astagfirullah ” COMPULSIVELY; For example, you look at the people, their blessings and thoughts strike your mind that you are Envying them and there and then you start saying ” Verses”; so that not to inflict them with your Evil Eye. 2) Even the thoughts make you feel like a Victim of your jealousy. For example A thought of some one’s wealth or beauty strikes your mind and you get confused that you have become a Target of Jealousy. 3) The Feelings of Guilt are uncontrollable. 4) All day you are struggling with feelings of Confusion if you are a HASUD or not. > Confusion, state of fear etc.and a lot more ……. Also in the Book, Cure Your was’was forever, we have dedicated priceless details on how you can conquer emotions of envy as well as averting the Evil Eye. Want to Watch FREE VIDEO ?